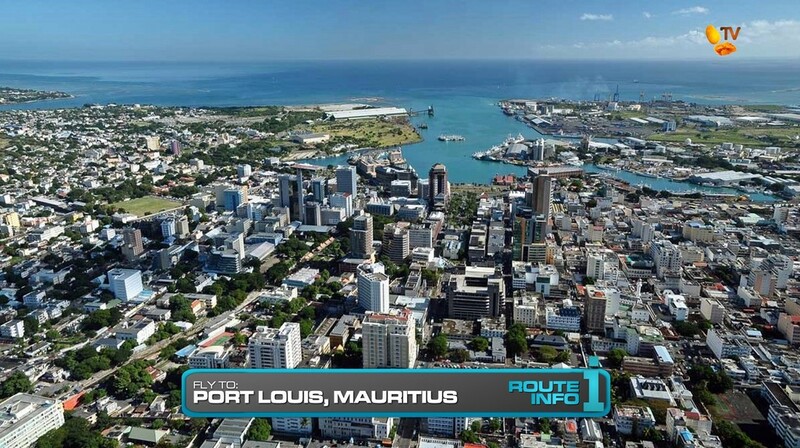 The 10th Leg begins as teams learn they must fly to Port Louis, Mauritius. 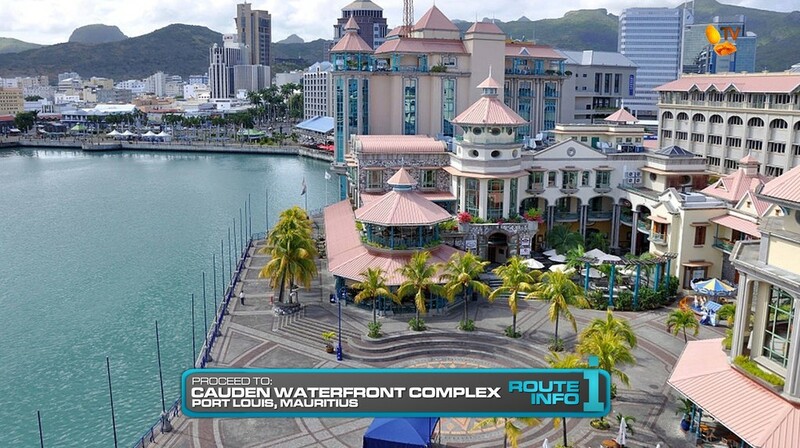 Arriving at 7pm, teams must make their way to the Cauden Waterfront Complex. But they’ll find that it has closed for the day and they will have to wait until morning for it to open. After camping out for the night, teams will be able to get their next clue waiting inside the mall. And that clue reveals the Detour: Look Up or Lock Down. 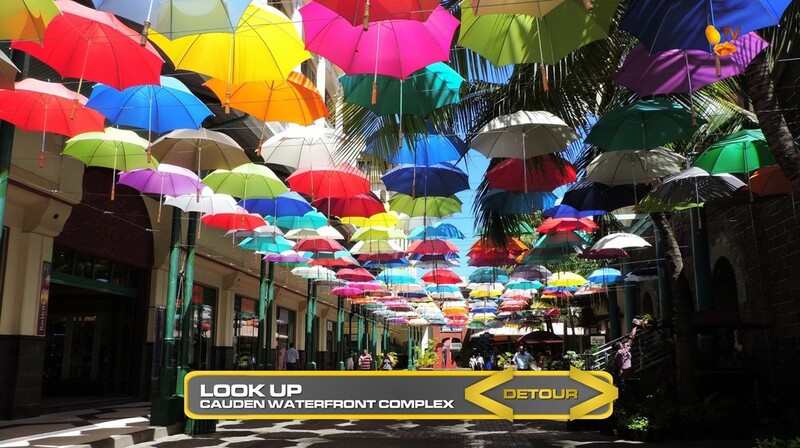 In Look Up, teams must count the number of yellow and red umbrellas hanging along the Umbrella Walk at the shopping complex and subtract that number from the total number of umbrellas. Once they’ve given the correct number, teams will get the next clue. 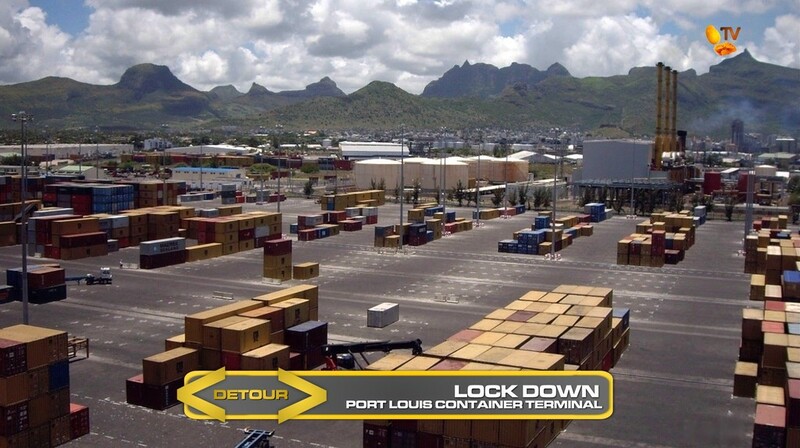 In Lock Down, teams must head to the nearby container terminal where they must search for three locks, attached to various shipping containers, that fit with a ring of three keys which they will randomly choose. Once they’ve retrieved the three correct locks, they will receive the next clue. 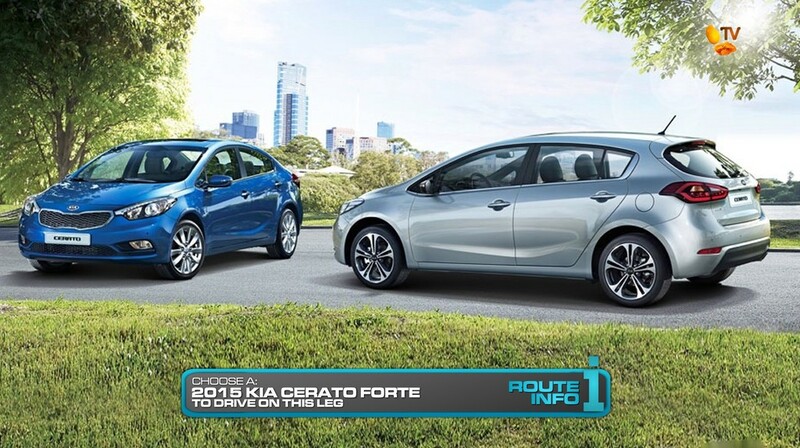 Teams will be driving brand new 2015 Kia Cerato Fortes on this Leg. For teams choosing the Look Up Detour, they can choose their car after completing it. For teams choosing the Lock Down Detour, they can choose their car now to drive themselves to the container terminal. 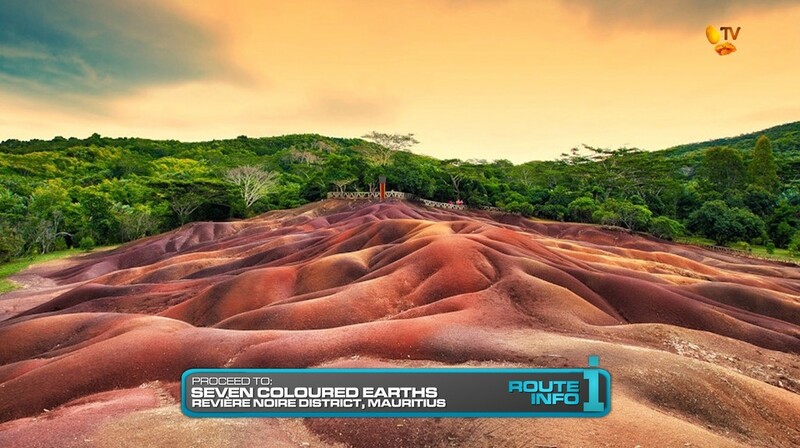 After completing either Detour, teams can drive themselves to Seven Coloured Earths for their next clue. 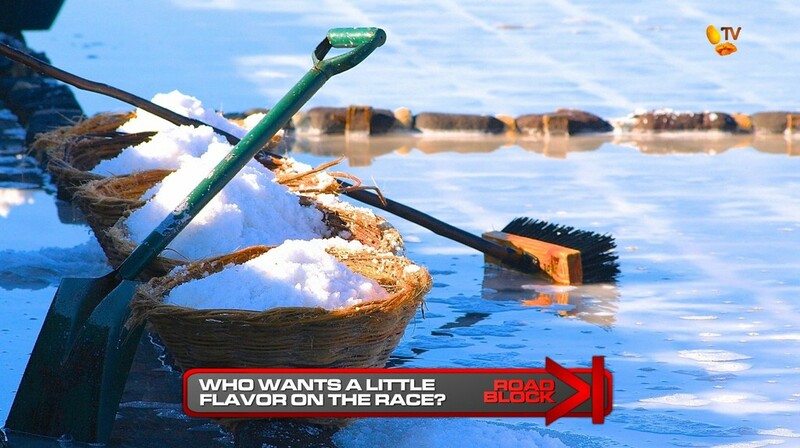 That clue reveals the Road Block: Who wants a little flavor on the Race? For this Road Block, teams must drive to Les Salines de Petitie Riviere Noire. Here, teams must help the local salt harvest by using a shovel and basket to transport freshly harvested salt from the salt beds to a large basket by the warehouse. Once they’ve filled the basket to the marked line, they will receive the next clue. 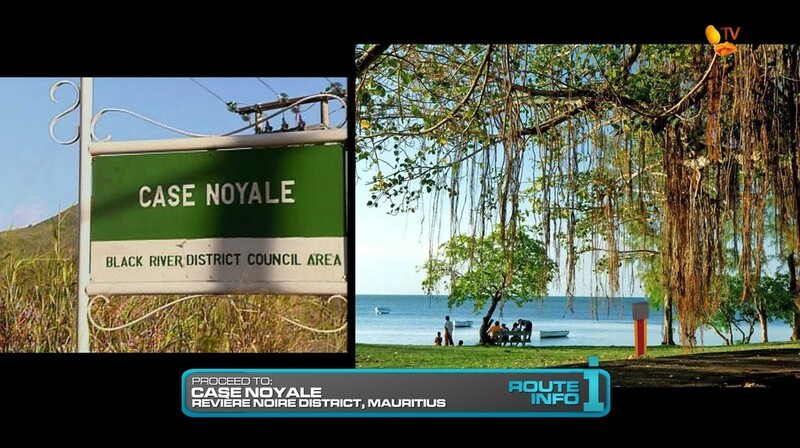 Teams must now drive to Case Noyale and search the waterfront for their next clue. Here, teams will hop on a motorboat to Ile aux Benitiers. 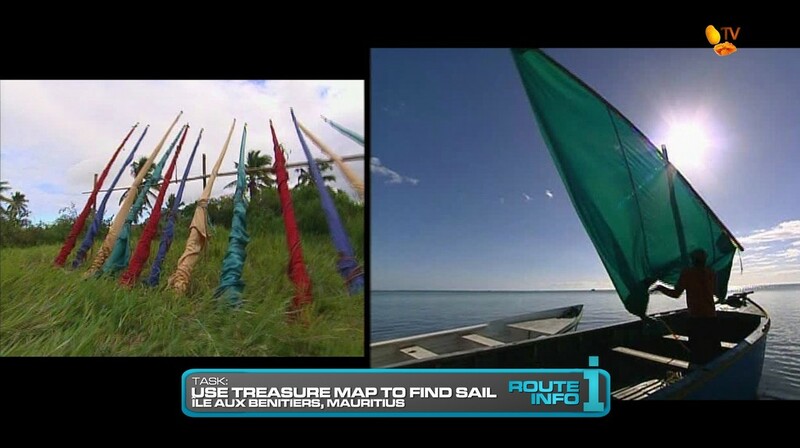 Using a treasure map given to them, they will need to search the island for a boat’s sail. They must then carry it back to the boat, attach it and sail back to shore to receive their next clue. 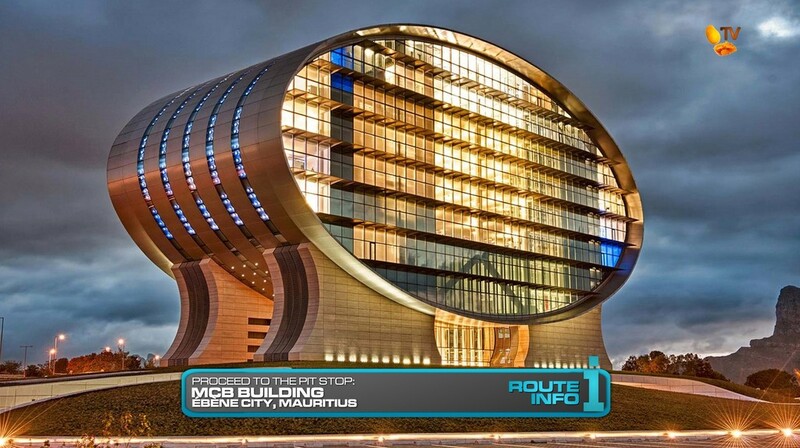 And that final clue points teams to the Pit Stop, the Mauritius Commercial Bank (MCB) Building. 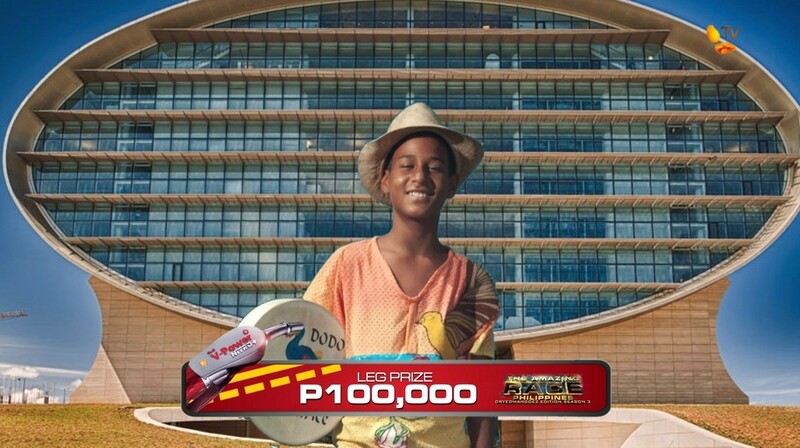 The first team to check-in here will win P100,000 from Shell V-Power Nitro+. The last team to check-in WILL be eliminated. This season has been very TAR10-TAR11 inspired. And that’s not a bad thing since they were great seasons. 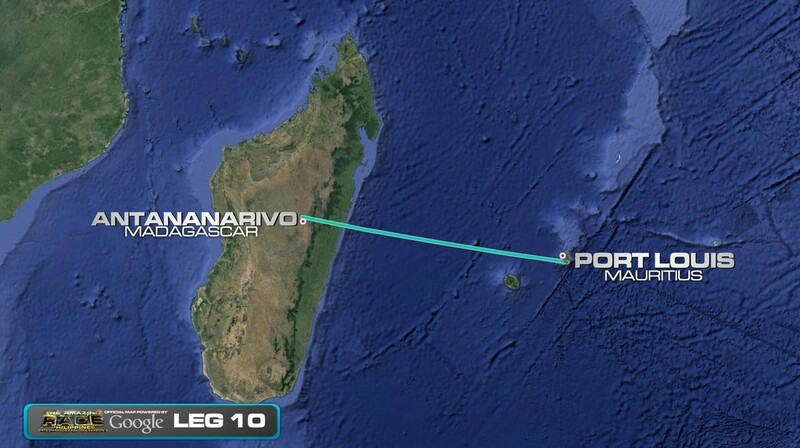 But this Mauritius Leg should be a good, full Leg that challenges these final five teams. After a necessary Hours of Operation at the shopping complex, I think the Detour is pretty balanced. The TARAu3-recycled umbrella counting can hopefully be made a little trickier with similarly colored umbrellas and the math. (Though it seems there are less here than in Portugal.) The locks Detour may be just a little harder, but there are ways to balance it out. The salt Road Block was originally one side of the Detour on TAR10, but this task is probably more comparable to the Senegal salt Road Block on TAR6. The other side of the TAR10 Detour is a fine extra Route Marker, though that would mean two “searching” tasks for this Leg. But that’s okay. The MCB Building should be a great Pit Stop. Plus it with the mall task and Route Marker is an interesting contrast to the more quiet and tropical/beach tasks and Route Markers all in one Leg.